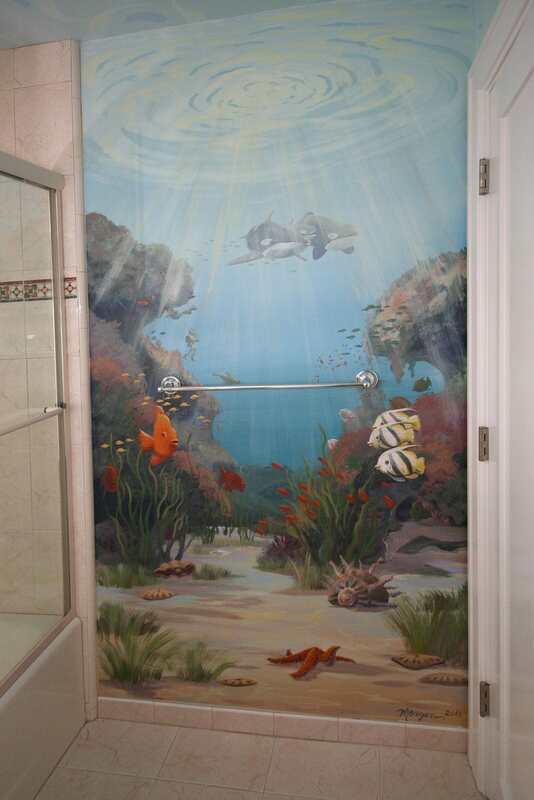 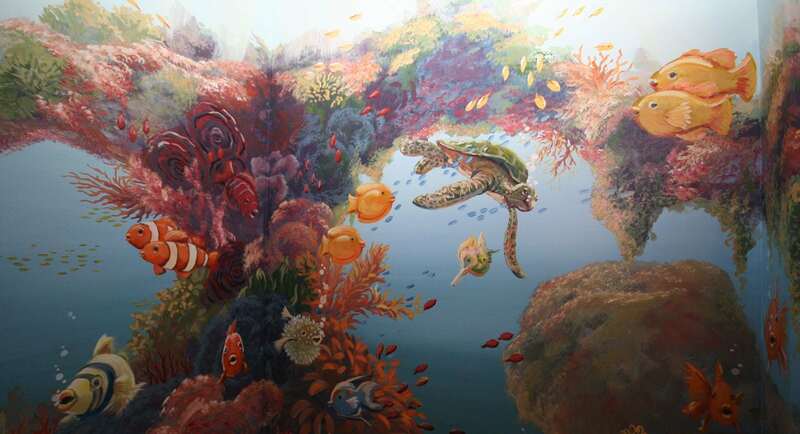 Tropical fish grace the walls to make an underwater adventure for this boy’s bathroom mural. 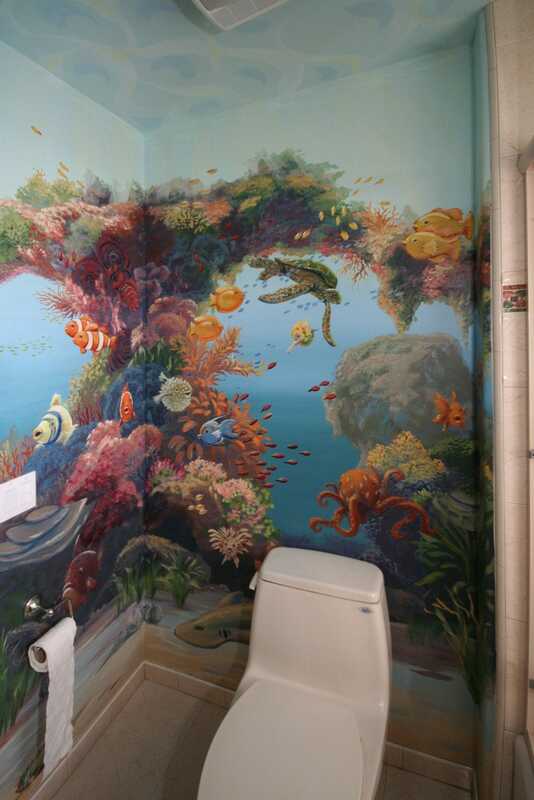 Dennis is from Costa Rica, and his son Marco is in love with marine life in general, so we celebrated their mutual love of the ocean with a coral reef mural in the bathroom. 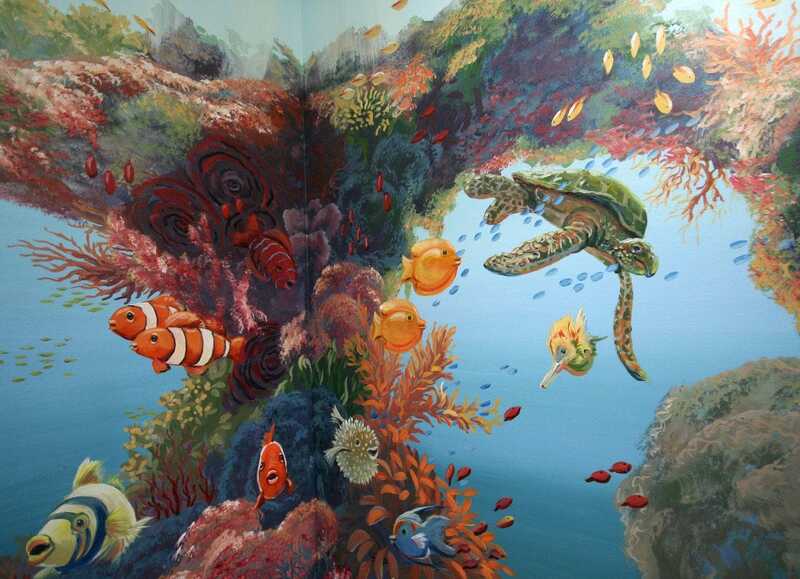 On another wall, I painted killer whales and divers in a serene seascape (the whales aren’t hungry – they already ate).